On July 24, 2018, New Jersey Attorney General Gurbir Grewal announced that effective immediately, all marijuana cases pending in municipal courts statewide have been adjourned until September 4, 2018. Possession of any amount of marijuana is illegal in New Jersey. Possession of small amounts of marijuana, less than 50 grams, are prosecuted in municipal courts as a disorderly persons offense. Those found guilty of possessing even small amounts of marijuana can be sentenced to up to six months in jail, fines, and the loss of their driver’s license for as long as two (2) years. Governor Philip Murphy supports legislation to legalize possessing marijuana. 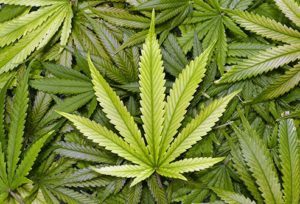 It is expected that the New Jersey Legislature will consider a bill to legalize the adult use of marijuana by September. Should the legislation pass, New Jersey will join the growing list of states that have passed laws decriminalizing certain marijuana possession offenses. Anyone facing criminal charges for possession of Marijuana should speak to an attorney about their situation and how this Attorney General Directive effects their case. The attorneys at Daniel M. Rosenberg & Associates are aware of the law, pending legislation and are available to assist with questions or concerns.